B. Thomas (Arlington, Texas, United States) on 15 May 2017 in Architecture. 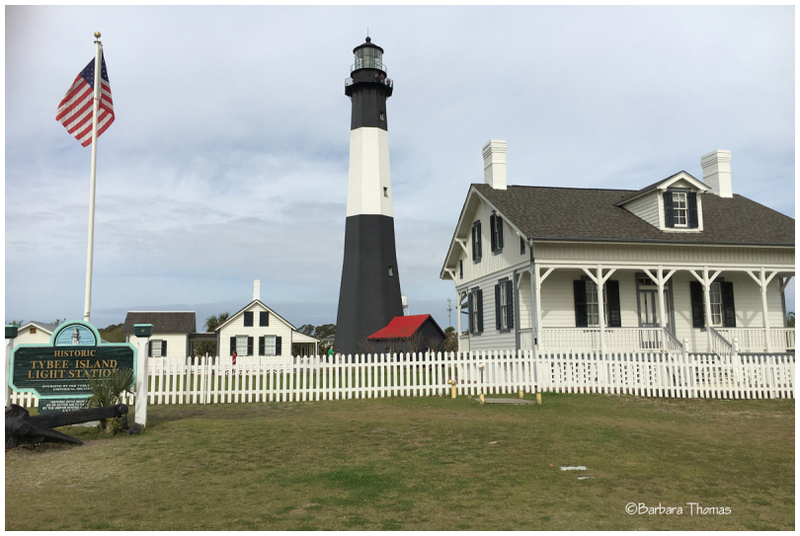 The Tybee Island Light Station, originally constructed in 1736, is Georgia’s oldest, tallest lighthouse and one of America’s most complete historic light station complexes. It has guided mariners safely into the Savannah River for close to 300 years. All of its original support buildings are still located on the five-acre site off US-80 at Fort Screven. Still a functioning navigational aid, the station’s light, courtesy of a first order Fresnel lens, can be seen 18 miles offshore. The newly renovated head keeper’s cottage, the Tybee Museum and gift shop are also on site. Ah, a strong sense of the 'old values' here . . and. like the light, they are still needed ! Excellent appealing architecture here ! Great shot ! Excellent shot, really nice place! Perfect explanation! A beautiful image of this gorgeous lighthouse. It's unusual to have all the buildings still in tact. A well-composed shot with a picket fence that ties everything together nicely. a fabulous image of this beautiful lighthouse.